Fabuwood Cabinet Reviews - Affordable High End Customizable Cabinets! Fabuwood are one of the younger cabinet specialists in the industry but are forging a name for themselves as one of the most popular in the low/ mid range budgets. They have developed their product range and now have a fairly wide selection of cabinets and accessories available. In this Fabuwood cabinet reviews guide you will learn about the history of Fabuwood and their values, the types of cabinets they produce, and the warranty policy on these cabinets. Fabuwood believe in creating beautiful cabinets first and foremost, with dedicated professionals handling every stage of production. They also endeavour to make their products as customisable as possible, providing options for every stage of construction. 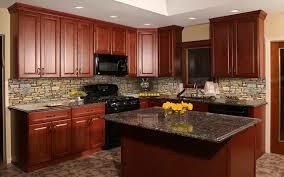 Finally they believe in keeping their cabinets affordable, making them accessible for even limited budgets. Fabuwood began as a small operation of just 10 people. It’s grown fast and now employs over 600. The popularity of the pieces and their ethos has led them expand rapidly and they’re becoming a household name. Fabuwood specialise in cabinets for the whole home. The majority of their range is designed for the kitchen but they have some bathroom cabinets too. They also produce a range of accessories, including different styles of drawers, pullouts and other features that allow you to save space. Each of these offers different styles and different pricing, with unique customisation options for each. For the best quality you’ll want to explore the Elite range but the Value line of products offers some affordable quality. Within each of these lines you’ll find different styles. These include traditional, modern and contemporary so you can select which best fits your home. 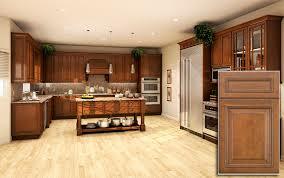 Fabuwood use hardwoods in a lot of their products and wood replacement materials in others. Both are designed to be durable against wear and tear and give you a cabinet that will last. Hardwoods generally offer better quality and a better look for your cabinet, with unique colouring giving your kitchen a touch of class. After deciding on the range and style you’ll need to select the colour of your unit. Not all the units are painted but you’ll be able to choose from deep browns, black or whites. 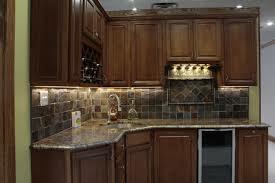 This choice will most likely be determined by the existing style and decor of your kitchen. The cabinet doors have unique styles. 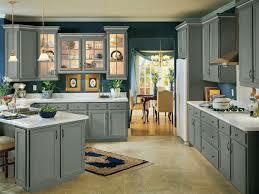 Choose from arched, raised panels or frameless look, each offering something different to the front of your cabinets. There are 6 different finishes available. These help bring out the natural colour of the wood and protect it from staining, marks or dents making it last longer. The finishes include chestnut and cherry, both very popular. Fabuwood doesn’t have anywhere near as many choices as some of the competitors who have literally hundreds of colours and finishes on offer. This isn’t the end of the world but can be disappointing if you had your mind on something specific. Fabuwood offer a full range of different cabinets to choose from. There is a variety of materials, styles and designs on offer which appeal to those from different homes. Each of these design elements and sizes has been specially chosen by industry leading experts to give the most useful cabinet. They’re designed to be storage solutions that are offer utility and style combined. Fabuwood take care in selecting only the highest quality materials to put into their products, ensuring a sturdy construction from start to finish. They have quality checks on every stage of production to keep the construction values consistent. Overall Fabuwood have some high construction values and the quality seems high. 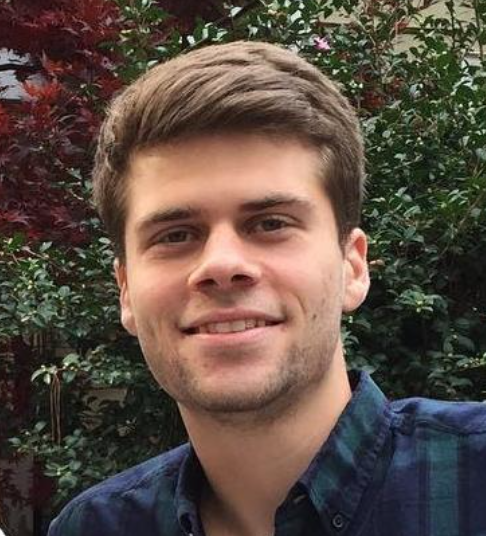 They’re quickly making a name for themselves as being one of the most reliable for this price and are offering consistency across the board. Fabuwood back up their products by offering a 5 year warranty. This covers all workmanship and material defects that don’t result from daily wear and tear. Not every range has the same coverage so be sure to check with your dealer before purchase, that way you’ll know where you stand if something goes wrong. “For import cabinets they are high end. One of the few companies that has matching wood hoods. It is a good cabinet for the money it should have been approx 50% less then Kraftmaid.” - Danny D.
As one of the newer cabinet makers they’ve presenting themselves as a reliable alternative to some of the others in the same price bracket, at a fraction of the price. “I thought they were rather well made, and they were also 40% less however, very few color choices and styles.” - John T.
Fabuwood certainly offer less design choices and finish options than their competitors but they seem to be expanding their product ranges quickly. Right now what they lack in choice they’re making up for in quality and people seem pleased. If you need more variation then check out Aristokraft. Fabuwood have emerged as one of the affordable but high quality cabinet makers in the U.S. Despite being imported from China the quality seems high across the board and they certainly know how to make a solid cabinet. Their prices are competitive and they are significantly cheaper than alternative brands like KraftMaid, which makes them more accessible to those with limited budgets. If you re looking for other brands around this price range then check out Wolf Cabinets or Homecrest Cabinets. Where Fabuwood fall down is in their product selection. They’re yet to develop their ranges fully with all the colours, material choices and styles that homeowners would like. With limited selection they box out anyone who has their heart set on a specific style. 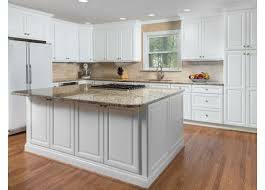 So if you are open to a few different styles then Fabuwood might be the right choice for you, but if they don't offer the style you are looking for then you won't be disappointed with the quality of kraftmaid cabinets! However Fabuwood are making a name for themselves as a reliable and affordable brand, offering consistent quality. Fabuwood are providing value and are definitely worth checking out if you haven’t heard of them.